Speedy filly Beauty Diva proved too quick for her juvenile rivals in the opening event at Pukekohe on Sunday. 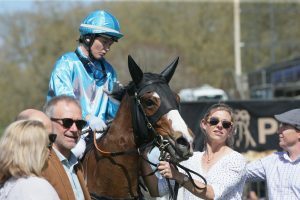 The Clinton Isdale trained two-year-old had impressed when winning a 620m trial at Te Teko last month after blundering badly out of the barrier that day. The Showcasing filly dwelt at the start again on Sunday, but soon powered along the inner to dispute the pace with the well fancied Maybeashowoff and race favourite Jager Bombed, who was forced to race three-wide throughout. Beauty Diva hugged the rail to establish a break on her rivals early in the run home, which she clung to bravely, to hold out the fast finishing runner-up First Rock in a slick 44.61 seconds for the 800m dash. 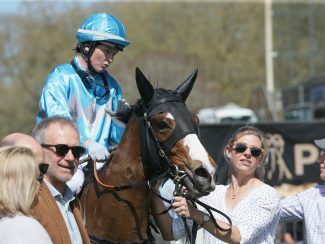 “She was slow away in her trial but she finished off strong and was a bit slow away again today,” Isdale said. “There’s plenty of upside to her as the things she does on the track at home are just unbelievable. We don’t gallop her hard but she’s always had plenty on good horses that we’ve got. “I’ve got to pay a big tribute to Graeme Sanders,” he said. “He told me to have her ready but to just wait. I was going to go to Wanganui with her but held off for this race as I knew it qualified her (for the Karaka Million). Beauty Diva is the grand-daughter of Gr.3 Centaine Stakes (2000m) winner Ketchikau who was the dam of useful South Island sprinter Ketchiben. She was an $11,000 purchase from the Book 3 session at the 2018 National Yearling Sale. The $14,000 winning stake from Sunday’s contest has her well placed to qualify for the Karaka Million (1200m) that will be run at Ellerslie on January 26.